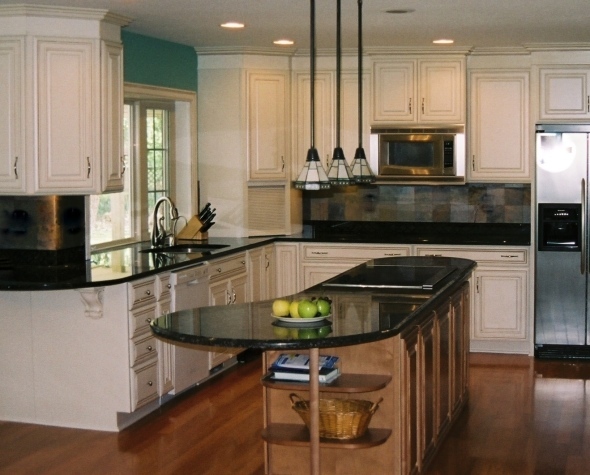 This project involved a complete house remodel. An architect was hired for the structural additions, including a second story. The client had originally intended to handle the project herself. However it proved to be much more difficult than she had imagined, so she contacted me to help straighten out the initial mistakes she had made and to coordinate all the rest of the interior details. This included review of the architect's plans and interface with the contractor. I also did space planning for the placement of her existing furnishings, and purchase of new items where necessary. I assisted with finish and paint selections, lighting, flooring, window treatments, and the design of the exterior. We are currently working on the furnishings and accessories for the Living, Dining, Entry, Bedroom, and Bath areas of this 3600 square foot home.